All in one integrated Solar LED Street Lights are becoming very popular in india to illuminate the streets due to its compact design and integrated features. The bulky conventional street lights are getting replaced by the fancy Street Lights with advanced features like Motion sensors and Specific spot lighting features. 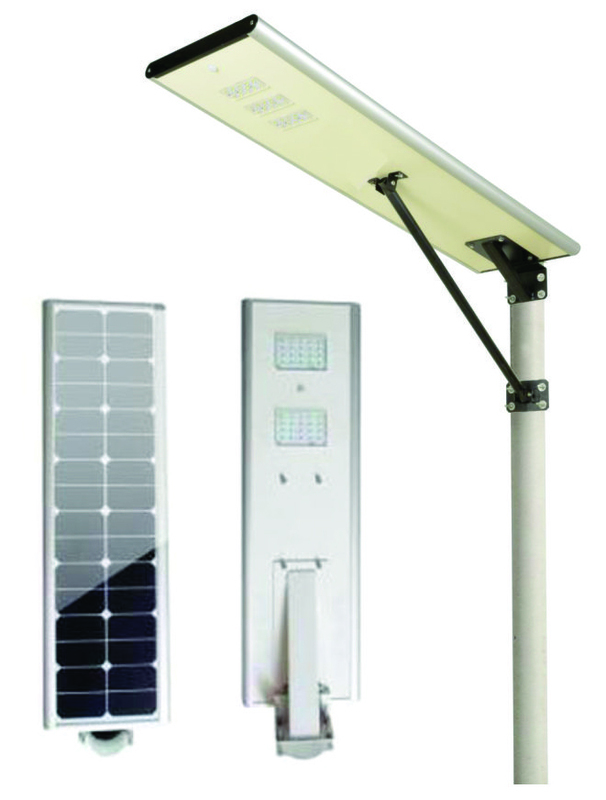 Integrated All In-One Solar LED Street Light produces its own power and uses lowest power consumption technology. No requirement of connecting wires or trenching. Long battery life with Lithium ion / Lithium Ferro Phosphate(LiFePO4) battery. Absolutely no battery maintenance required for at least 3 to 4 years. NO electricity bills as light runs fullyv on solar power.